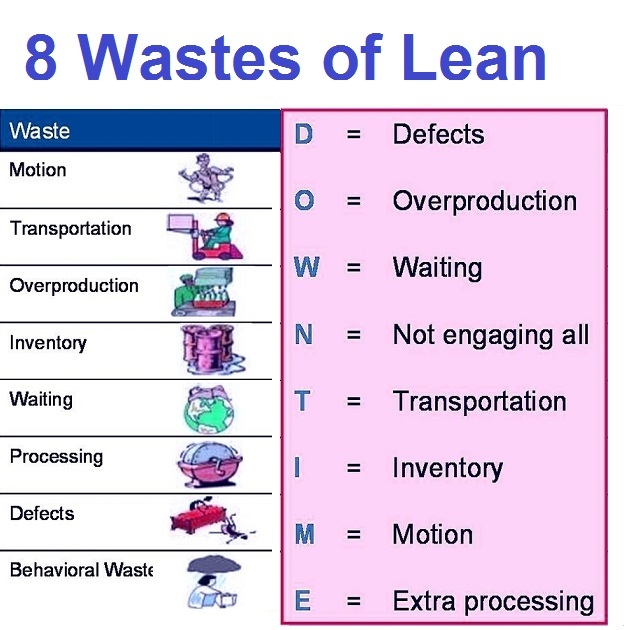 8 Wastes – Lean Eight Wastes – 8 Wastes Analysis – 8 Wastes Framework – 8 Wastes Business Methodology – 8 Wastes model also known as seven wastes or eight wastes of lean is one of the top Lean Six Sigma business frameworks aimed at establishing various inefficiencies within an organization. There were 7 wastes in the lean methodology originally however an 8th waste, namely the waste of human intellect, was added to recognize the importance of human beings and their creativity in the business process. Below sample images are examples of 8 Wastes used in business management.